Runt Higgins needs answers, fast. Someone cursed him to die on his sixteenth birthday— but no one seems to know who cursed him or why. He decides he must find the Great Library, where all true knowledge is stored. Unfortunately, the only people who know the location of the Great Library are a covert network of librarian-spies who have sworn to protect the Library's secrets. And when one of Runt's professors is attacked, it soon becomes clear that others are also out to find the Library at any cost. Meanwhile, Runt's not the only one whose days are numbered. 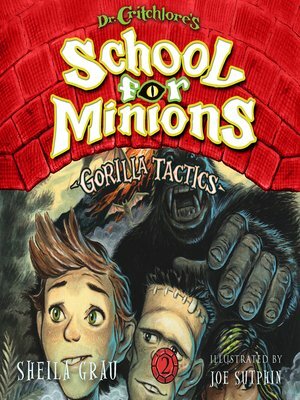 To save the floundering school from an inevitable sale, Dr. Critchlore takes some desperate measures. His master plan to save the school? A fashion show.